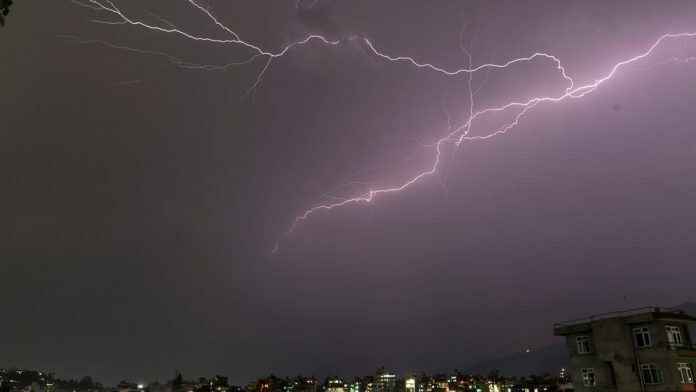 Kathmandu: At least 25 people were killed and hundreds were injured in a severe thunderstorm that swept through parts of southern Nepal late on Sunday. Nepal’s Prime Minster K.P. Sharma Oli in a tweet said 25 people had been killed, and around 400 were injured. “Helicopters have been kept ready for immediate rescue and relief,” Oli said in his post. He offered condolences to the families of the victims. Rajesh Paudel, the top bureaucrat of Bara district, where the storm hit, said the death toll may increase as rescuers were still trying to reach many of those affected. Bara is located about 62 km (39 miles) south of Kathmandu, and borders India’s eastern state of Bihar.